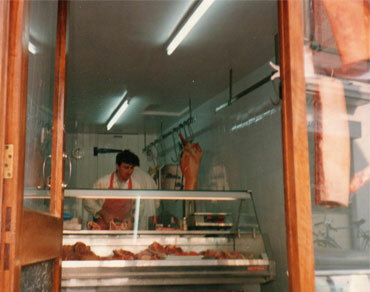 We are a family business that is in its third generation as specialist Pork Butchers. We source pigs locally, and run our own approved abbitoir so we have full control of our products which is a luxury these days. All of our pork is broken down into the five primal cuts, and we cut the pork fresh for each customer. Another key component of the business is curing our own ham and bacon. We select the cuts we wish to cure and this is done within time honoured traditions, as we believe that all good things come to those who wait. Our ham and bacon is allowed to cure gently over 14 days, and we don’t believe in pumping extra water or additives into our products. This results in a thick cut rasher that doesn’t disappear on the pan, or ooze with liquid. Our ham is low in salt and tastes the way ham should taste. As we deal in whole animal butchery we have the benifit of using pork shoulder to make our range of sausages. The shoulder has a lovely balance of ‘lean to fat’, that makes for a tasty sausage. 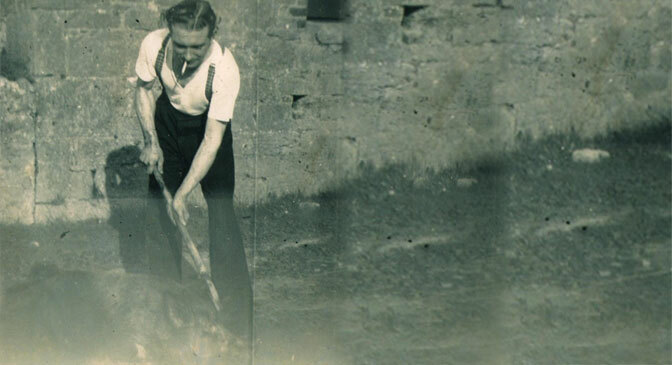 Our recipe is a family secret and we have both been raised on them, like many a family in Athlone and Westmeath. When a customer calls into our shop they are greeted with a smile and a friendly face. We pride ourselves on all the handmade sausages and fresh products we have to offer. Pork chop’s are a big seller and we have a chop to suit all tastes and appetites. A lot of customers are surprised at the varity of chop’s on offer, unlike the supermarkets that stock vacuum packed, pale, little chop’s that are tastless and disappointing. 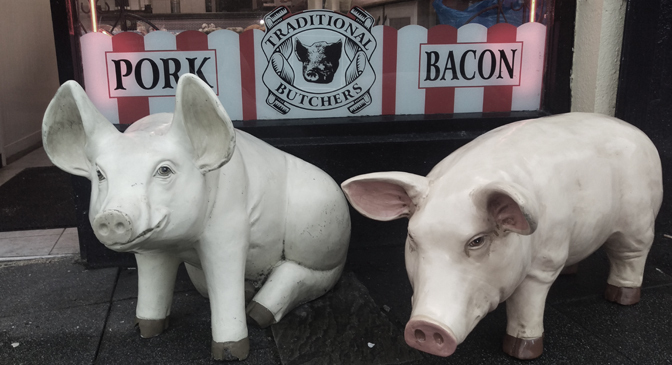 The pig truly is a remarkable animal that has been part of Irish lives for as long as we can remember. Each pork cut is different so if you want something quick to cook a pork steak is ideal. For those long and lazy Sundays, a slow roasted shoulder of pork will leave you with moist and tender meat, and perfectly crispy crackling. All of our customers are different so we cater to everyones needs, from the large family, to the single student, and we give each and every one the same care and attention. Call into the shop we will be more than happy to help you choose the right cut for you.